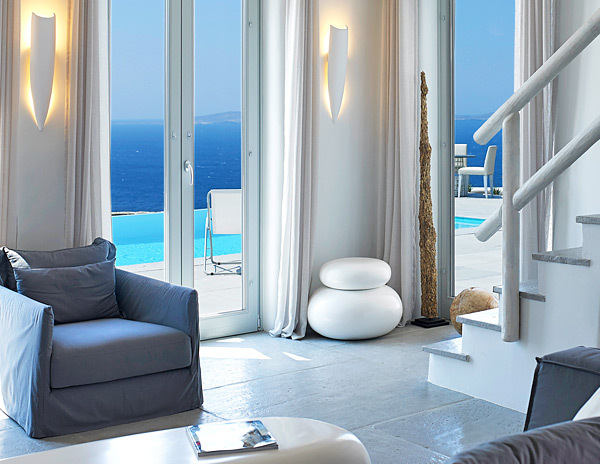 Enjoy a Cycladic Summer at the uniqueness of the Exclusive Ammos Villa, a newly built luxury villa in the Houlakia area of Mykonos, offering breathtaking views of the sunset, the Aegean Sea and Delos island. This two-level villa consists of 3 en-suite bedrooms, a spacious living room and a fully equipped modern kitchen. It has a private swimming pool with a sitting lounge surrounded by a flower garden. 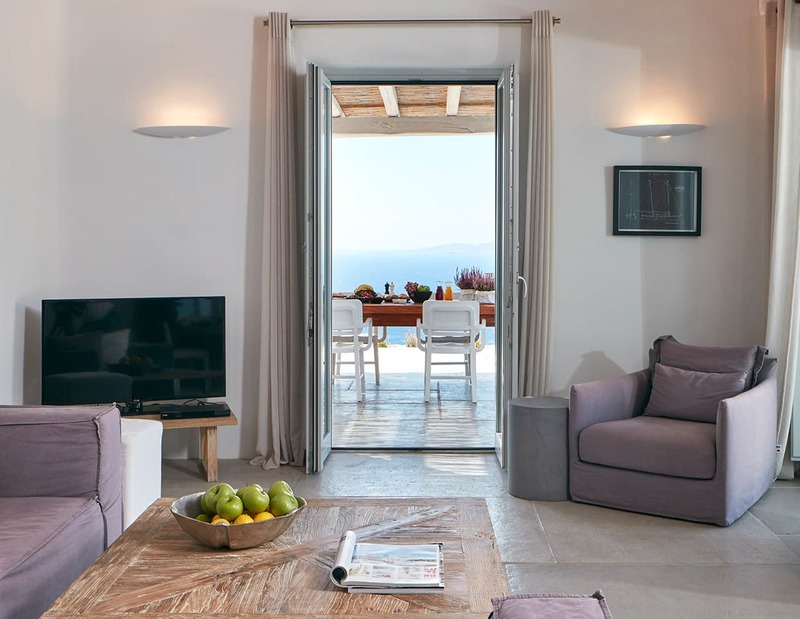 Relax and rejuvenate at the Ammos Villa, a newly built luxury villa in the Houlakia area of Mykonos, offering stunning views of the sunset, the Aegean Sea and Delos island. 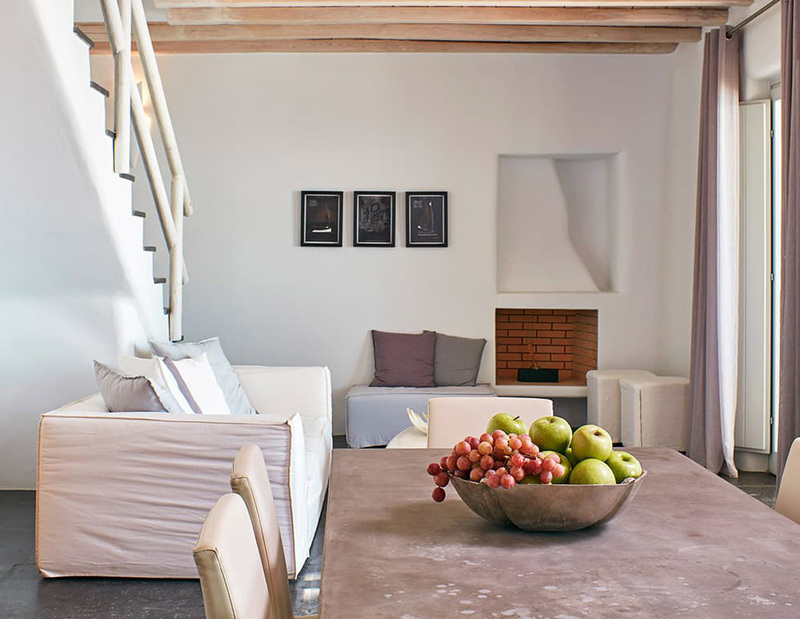 This two-level villa consists of 4 en-suite bedrooms, a spacious living room and a fully equipped modern kitchen. It has a private swimming pool with a sitting lounge surrounded by a mediterranean garden.